It’s rainy and cold right now with a light dusting of snow expected tonight. But strolling around the garden this morning, I saw so many things that I love about this time of year, this perch right above the tumble into spring when there is so much happening, yet little seen by the eye. 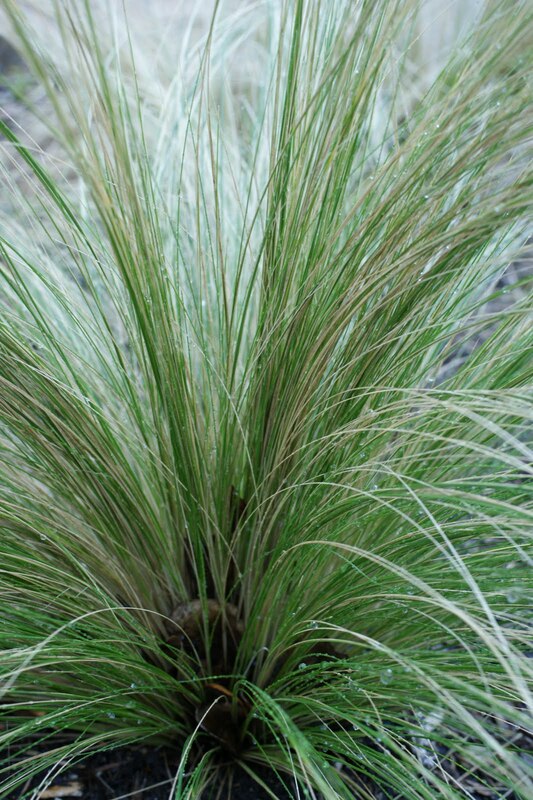 Unexpected textures like this Mexican Feather grass, green growth mixed with brown. Like hair I want to brush and put into a ponytail. New growth, emerging everywhere you look, when you look close enough. 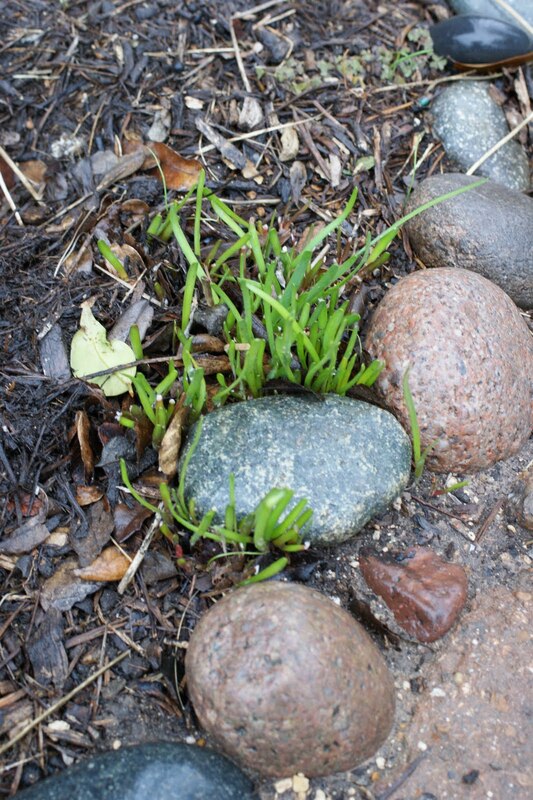 Garlic chives emerge from around a rock. They seed everywhere after flowering, and I let them because they are gorgeous and drought dependable. And deer don’t like garlic-breath! 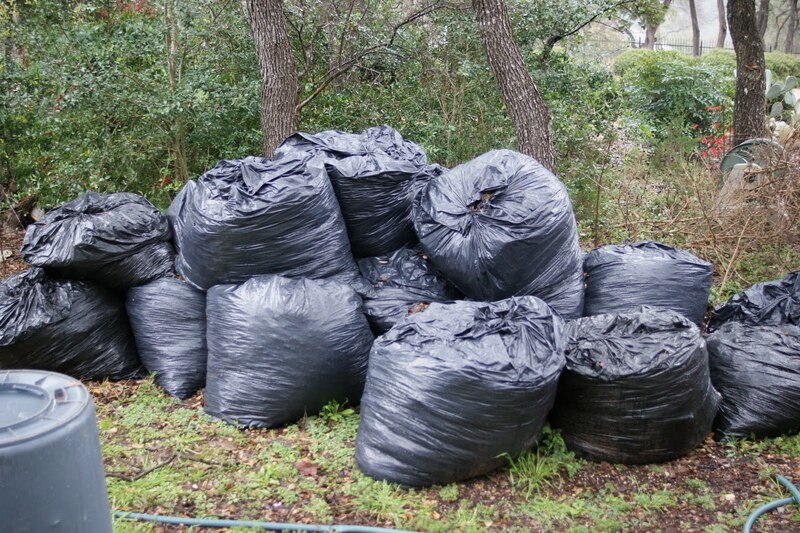 Lovely gifts like these bags of leaves from my husband’s co-worker to put in my compost bin, since my leaves consist mainly of live oak leave which don’t compost as well. What a wonderful present! Vegetables that laugh at winter. 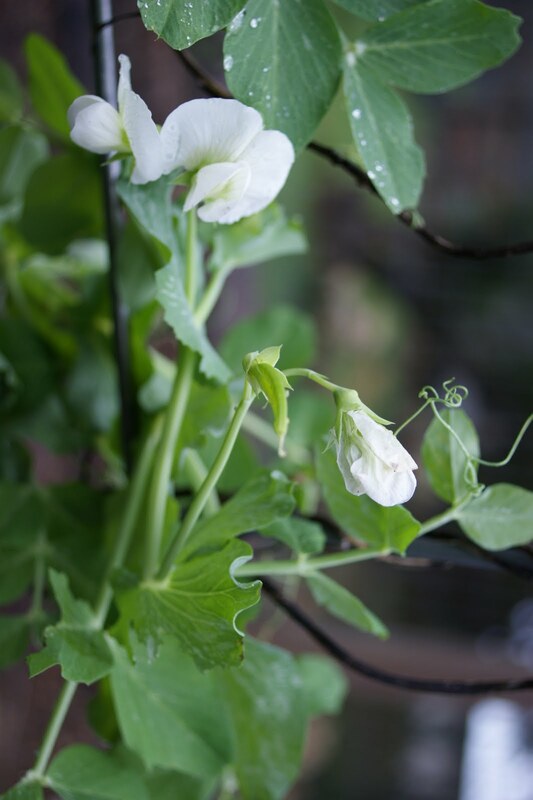 My peas growing on the trellis. 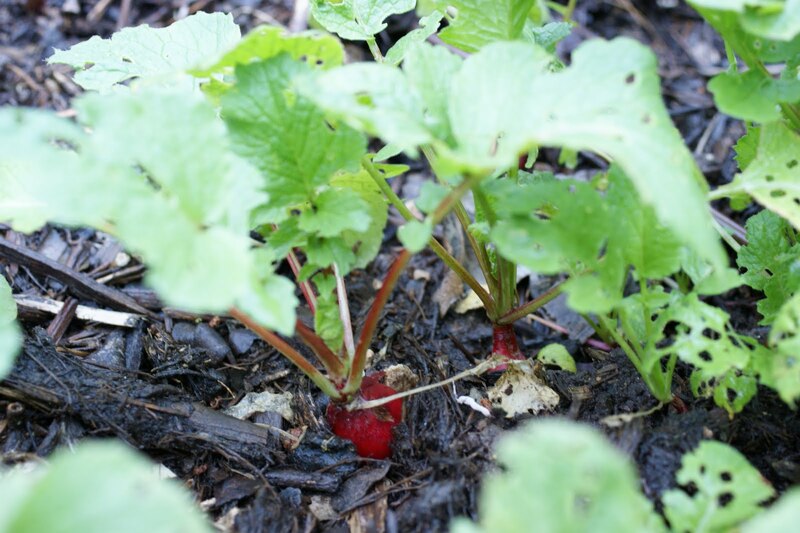 Surprises forming underground, like my radishes. The kids love to come find the biggest bulb to pull out. Rain, rain and more rain! It’s nice to have a season where the sprinklers are off. The promise of things to come. 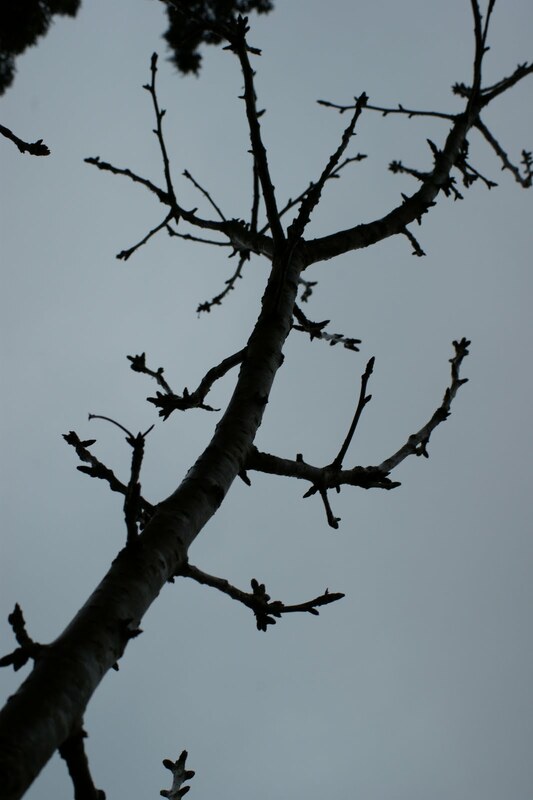 Buds on the cherry tree promise a good spring bloom. Hope every season brings you joy from your garden. Now, let’s get this spring thing started. Grow your own potatoes? Yes, you can! Potato planting time is upon us, so join us at the Texas Agrilife Extension office of Travis County in the demonstration garden for a detailed look at how to grow your own crop of potatoes. This hands-on demonstration includes planting potatoes in the ground and in baskets, recommended varieties, and tips for success. This demonstration is free, open to the public and requires no reservations. 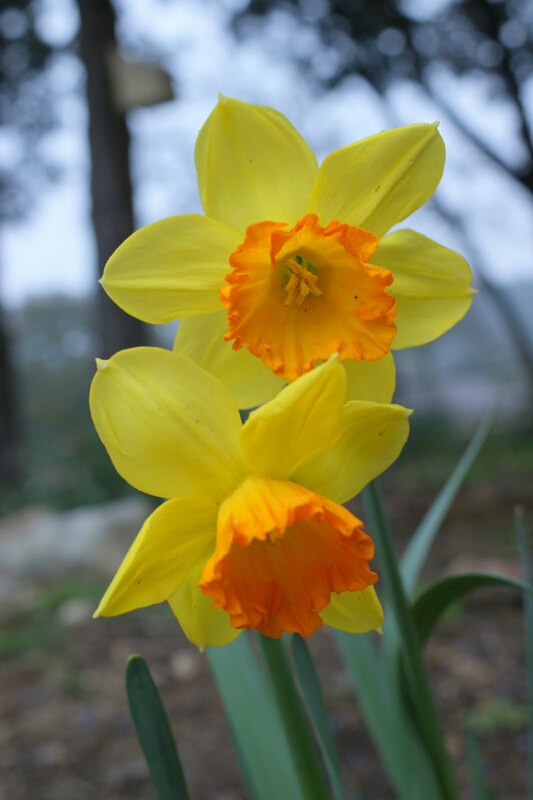 It is presented by the Travis County Master Gardeners Association, a volunteer arm of the Texas AgriLife Extension Service in Travis County. 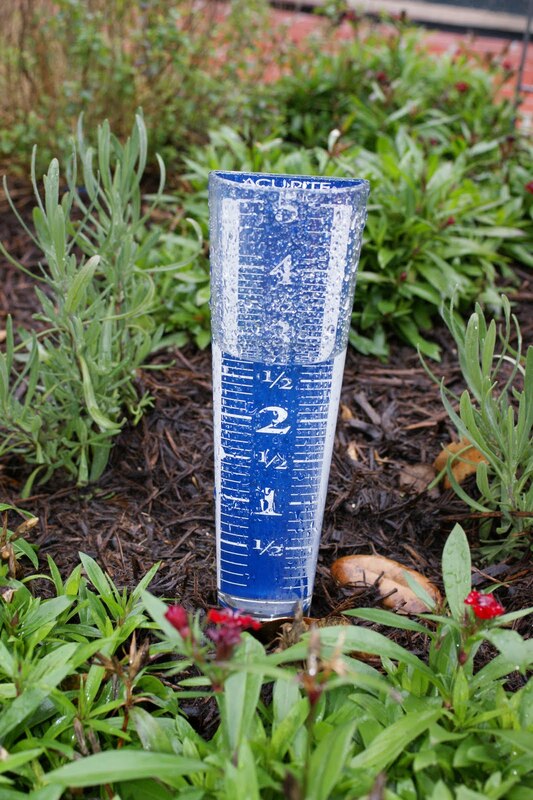 For information, see www.tcmastergardeners.org or call the Travis County Master Gardener’s help desk at (512) 854-9600.